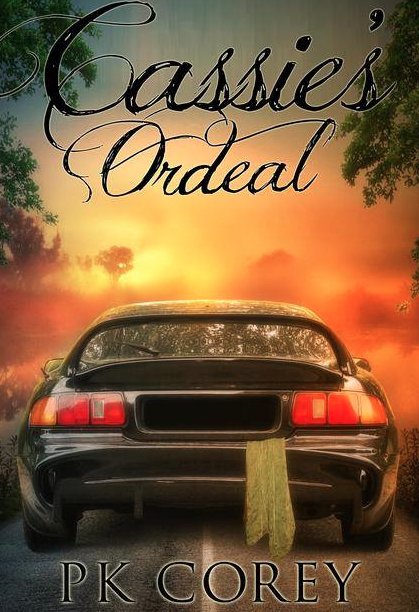 Kelly Dawson Author: Welcome to PK Corey with Cassie's Ordeal! Welcome to PK Corey with Cassie's Ordeal! Blurb: Cassie loves her life on the river with Tom and her friends. She feels Tom has her wrapped in a safe and protected cocoon of love. But her world is jarred when the phone calls begin. Cassie hesitates to tell Tom about them knowing he’ll over react and she will be the one under ‘house arrest’. But when the calls go from annoying to frightening she has no choice. Tom brings in the police to find out who is behind the harassment and make plans to keep Cassie safe, but he’s too late – Cassie is gone without a trace. The police began an all out search, but there are few clues to go on. Will life on the river ever be the same again? I went from basically relaxed to furious in under a second. Sitting forward in my chair, I adopted the clipped tone Tom uses when he is extremely angry. “I am sitting on my deck, watching my river, visiting with my friends, and drinking my wine.That’s what I’m doing.” Although I was trying to contain my anger, I'm afraid it was evident to everyone. “That’s too bad. I don’t feel like listening,” I snapped, settling back. Nothing was getting me out of that chair short of Tom dragging me out, and I felt reasonably certain that wasn’t going to happen. I knew how rude I was being, but I’d reached the end of my rope. Oooooh I think Cassie might be in trouble! Thanks for sharing, PK Corey!! Thank you so much Kelly! Poor Cassie, when she reaches the end of her rope it's usually a noose!